Gosh darn it! Did I just send that "Iz gon' get crayzaaaay" email to my boss Joseph instead of my friend Joseph? Those who use Gmail on the desktop may have probably avoided such catastrophes if they were privy to a Gmail Labs option called "Undo Send" which gives them a small window to rescind (I've been watching Veep) an email after it's been sent. For those of you who didn't know Undo Send existed, you'll be happy to notice that it's finally a regular setting inside the General tab in Gmail, and no longer a Labs option. And if you were familiar with the feature and had already enabled it in Labs, you don't need to do anything as it will be turned on for you in Gmail once it moves to its new home. 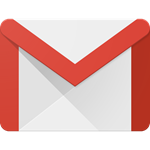 Hopefully, now that Undo Send is officially part of the Gmail featureset, it will come to the Gmail Android app in a later update. At least, we can hope so. But if you're dead set on having it on your phone and you don't mind using Inbox instead of Gmail, the other Gmail app has had Undo Send for a month now.